Proceeds benefit "Friends of Oil Creek State Park". Course: 6K Cross Country Run with 2 shooting stops! Open to all athletes age 12 and over who complete the mandatory pre-race safety clinic. 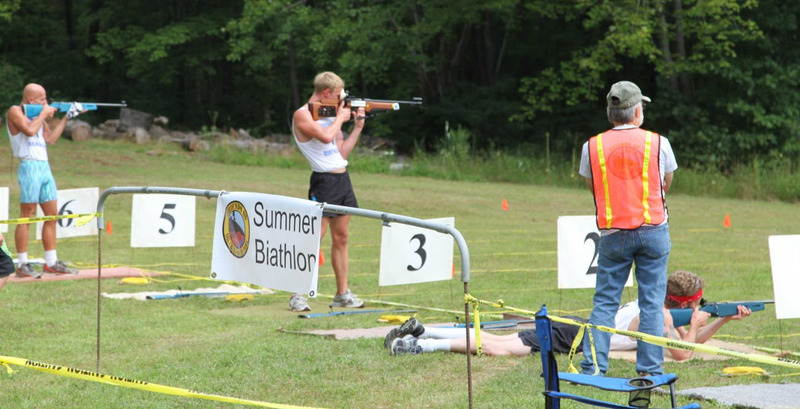 What is a Summer Biathlon and how does it work? The 6K running race is divided into five parts. 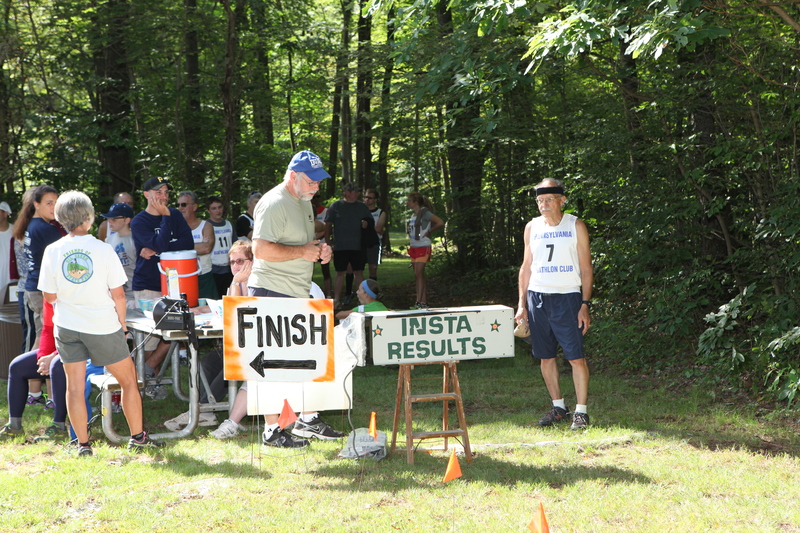 The timing starts with waves of two runners leaving every minute and running an approximately 1.2 mile loop. As you approach the shooting range at the end of the first running loop, you will run into the range, catch your breath lie down in the prone position and pick up an easy to use .22 caliber target rifle. You shoot 5 shots at a 4.5-inch metal knock down target 33 meters away. For each missed target you are required to run a 70-meter penalty loop after the shooting stop. After this first shooting stop, you run out of the range and run the same 1.2-mile loop again. The second time at the range you will shoot 5 shots at the same targets from the standing position and run the 70-meter penalty loop for each missed target. Once you’ve completed the standing position, you run out of the range and run the 1.2-mile loop a final time ending at the finish line. All first-time participants are required to attend the pre-race biathlon familiarization / safety clinic. You will learn the rules of the sport; correct shooting positions, safety procedures, and race strategy. The clinic will start promptly at 8:30 AM on race day. From South: Take Route 8 North thru Oil City to Rouseville at the red light turn right on to Route 227 East. Proceed on Route 227 East for approx. 2.8 miles to the Village of Plumer. Turn left at a sign marked “Oil Creek State Park” onto Petroleum Center Road and continue to the Cross-Country Ski Area, which is on the right. From North: Take Route 8 South thru Titusville. Five mile below Titusville turn left at the “Oil Creek State Park” sign (Tune Town concert ground). Take this road 4 miles to Petroleum Centre. At stop sign turn left onto SR1004 to Plumer, cross old metal bridge, go past park office and proceed to the top of the hill, approx. 1.2 miles. Cross-Country Ski Area is on left.